a spectacular display of snowdrops, heralding the start of spring. This year Moorcroft were delighted to be invited to host an event at Forde Abbey, bringing our enthusiasts from far and wide to come and visit the grounds. Vicky’s design was created especially for this stunning venue. 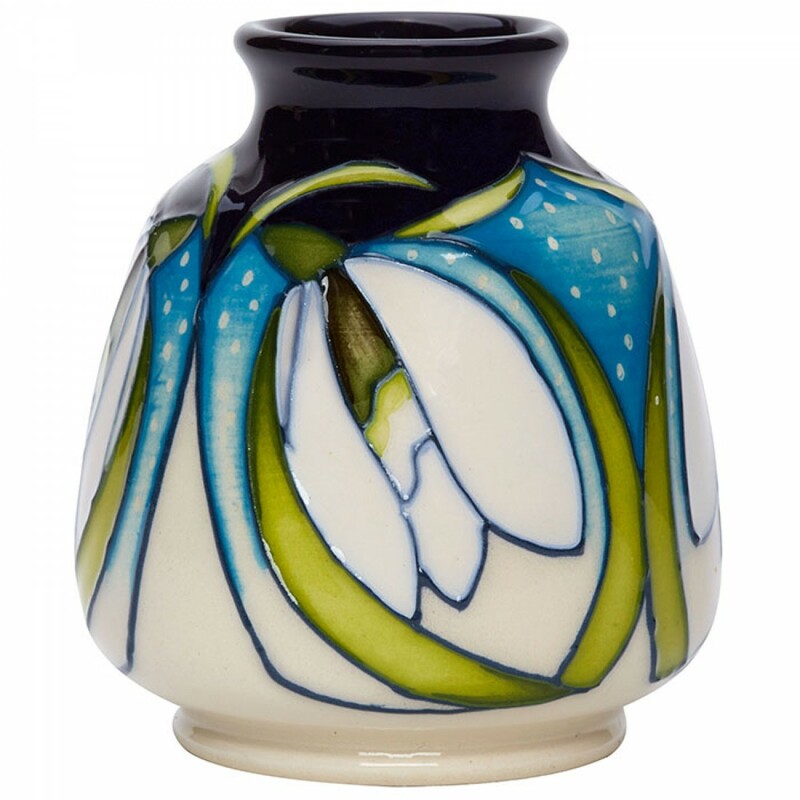 The diminutive pot, a brand new shape for 2019, features a pretty web of snowdrop heads, with a sky-blue backdrop, speckled with delicate snowflakes.